If you are a food enthusiast, I bet you’ve been tempted to try out those delectable deals that many a groupon sites online are offering. Imagine eating a feast in a buffet at half the price or having your favorite pizza at a much discounted price? Who can really resist those treats, right? Although a good number of people have actually bought these vouchers and sampled these online offers, you would also hear quite a few bad reviews about these deals from some and this might lead you to think twice before hitting that buy this button on that sumptuous baby back ribs dinner for two in one of those swanky restos in the metro. So how do you avoid getting scam with these groupon sites again? The first fool-proof way is to read the fine print, yes, each agonizing detail just so you know what you are actually purchasing. Secondly, make an informal survey. Ask around with your friends, especially those who have tried buying from that particular site, about their experience. Do this and you’ll be feasting in those mouth-watering dishes in no time! Happy eating! This entry was posted in Food business, Food Thrift Tip and tagged food voucher, groupon sites, legit groupon sites on December 31, 2011 by Yami. THE SWEETEST TREATS come in boxes and buckets! This Christmas, Max’s Corner Bakery beckons everyone to spread the cheer with Max’s Corner Bakery’s Christmas Pastry Bucket and Christmas Pastry Gift Box. Max’s Corner Bakery’s delightful offerings are filled with the most delectable goodies: Max’s signature dessert, the Caramel Bar, freshly-baked Chocolate Chip Cookies, and an assortment of classic Polvoron in crunchy Pinipig, rich Cookies and Cream, and indulgent Choco-Coated flavors. Satisfy your sweet tooth and make this year’s Christmas celebration more memorable with Max’s Corner Bakery’s heartwarming treats! Check out the sweetest updates from Max’s Corner Bakery. Log on to www.maxschicken.com or visit http://www.facebook.com/maxscornerbakery to be a member of Max’s official Facebook fan page. Max’s Corner Bakery is the bakery brand of Max’s Restaurant, one of the most enduring global Filipino brands today. Max’s Corner Bakery is famous for its perennial dessert – the Max’s Caramel Bar, and a roster of other oven-fresh, saccharine treats that have captured the heart of Filipinos all over the world. Max’s Corner Bakery’s delectable product line includes a wide variety of cupcakes, chocolate cakes, banana cakes, food for the gods, caramel cream cakes, ensaymadas and soft rolls. This entry was posted in Cakes and pastry and tagged max's, max's corner bakery's christmas pastry bucket and christams pastry gift box, pastry, press release on December 20, 2011 by Yami. I love sweets especially chocolates. 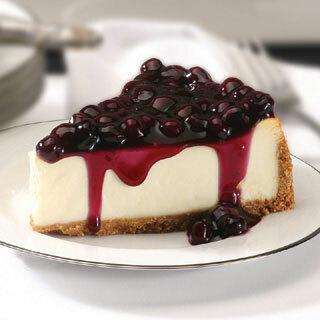 But lately, I’m craving for Blueberry Cheesecake. This one is different because it’s not something that you can buy from your nearest bakeshop since it is homemade. And what makes this cake special is that the baker is a friend who is simply delighted to bake for her friends. She is Samantha or Sammy or Sam to the Marce Club. *Sorry this is not Sam’s cheesecake I forgot to take pictures. teehee! This entry was posted in Cakes and pastry and tagged blueberry cheesecake on December 19, 2011 by Yami.